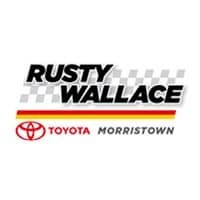 Customers from Knoxville to Sevierville visit Rusty Wallace Toyota for an incredible selection of used Toyota sedans. There are so many great advantages to buying used, and you can save a bundle on everything from sticker price to insurance when you opt for a pre-owned model. Take a look at our current inventory below, and then visit our dealership in Morristown for your test drive! Why not schedule your test drive and find your perfect car with our experts? If you still have questions about our used Toyota sedans, feel free to contact us online.